Whether you don’t have a car, yours is out of commission for some reason, or just spent a little too much time at the bar, there are going to be times when you need a ride. 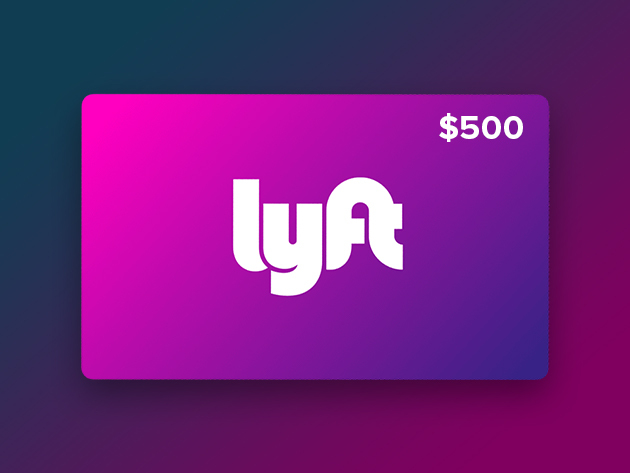 No matter your situation, Lyft is a great solution, and you can have many free, flexible rides at your immediate disposal if you win the $500 Lyft Credit Giveaway. Lyft is available nearly everywhere in the US, and after servicing 163 million rides across the country last year, your $500 Lyft credit will give your free rides for weeks, or maybe months. If we’re getting technical, Lyft’s average per trip total is about $12.50, which means you’re looking at around 40 free rides. All you have to do to win is sign up with your Facebook or email address, then get your name drawn. That’s it! You can earn additional entries by referring friends (must be 21 and over). Enter to win today – registration ends April 2. Good luck!